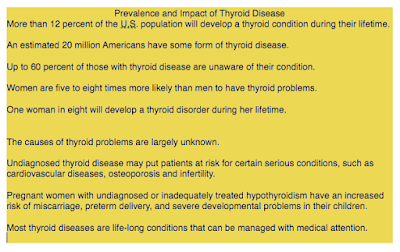 Have you had your thyroid checked lately? So you might ask...what does this have to do with chronic pain? 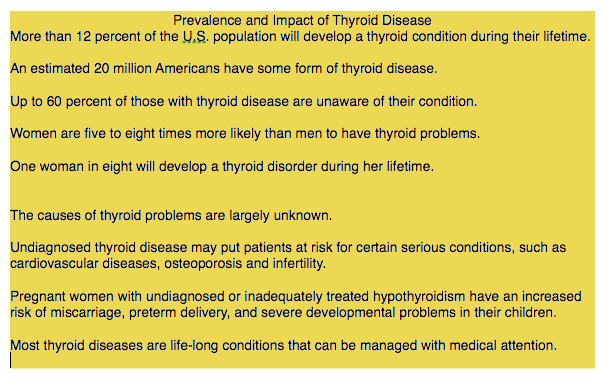 As you can see, the thyroid gland has affects all over the body. It affects how you feel overall, and if levels are too high or too low, there can be serious complications. Sadly, it's a very common problem. If you already have a chronic pain problem, you certainly don't want any more problems from something that's easy to identify and treat. Correcting a thyroid problem does wonders for mood and overall health...a definite plus in feeling good overall!